REVIEW - Hektor - Use a Potion! Horror exploration games are all the rage lately. I’m a fan myself – nothing like the feeling of being frightened with no way of defending yourself, but maybe there’s too many at the moment and some are getting a little stale; developers aren’t really pushing to do something new with them. 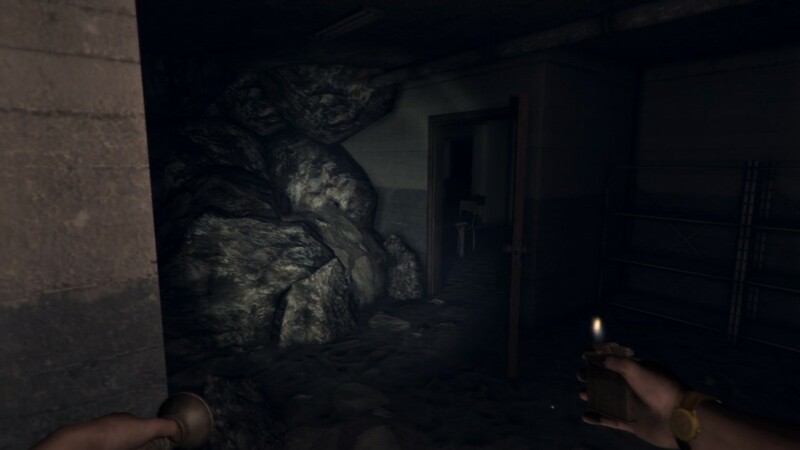 Then on the other hand we have Hektor – a horror exploration game by Swedish game developers Rubycone where you are constantly being hunted down and your environment changes around you as you try to find your way out. I’d not come across a horror exploration game where the environment changes around you as you play yet, so Hektor had already caught my attention. It seems the perfect feature to accompany a horror game – does it work though? The story of Hektor is a mixed bag. The game throws you into the action with no real introduction; you appear to be on an operating table with a doctor speaking to you but it doesn’t make much sense on what’s going on. Then you awaken in an abandoned, unlit facility with nothing but a lighter help to guide you through the derelict hallways and rooms. The walls are plastered with posters telling you to remember to take your pills – not doing so cause you to get disorientated with the screen blurring and different colours taking over the screen. Whilst making your way through the facility you’ll discover notes and diary entries that fill you in on some of the back story of the facility, but without any real context it can all get quite baffling. Things start to make a bit more sense by the end and things start do start to become interesting, particularly the ending, but by then you’d have already got bored with trying to fathom what was going on anyway. It’s a shame; with a proper introduction and a bit more detail the story could’ve been a lot more interesting. Although Hektor is lacking in story it does have one stand out feature – the environment twists and turns as you progress, all of it procedurally generated. The developer named it the ‘Jigsaw’ system – it’s a great feature that really works well. You may end up at a dead end of a hallway confused where to go, only to turn around and find a whole new room in front of you that wasn’t there before. Other times you may find yourself going from door to door only to keep ending up in the same room. It’s an excellent feature and everything occurs seamlessly. Sure, it has its moments where things don’t quite work out right (one time the game seemed to get confused and I found myself stuck in a wall as it moved) but in general everything is pretty tight and its effective at giving you that feeling of suspense. The facility is made up of a few different environments – you’ll find yourself navigating prison cells, office blocks and at times in a dream like place with red curtains reminiscent of the Red Room in Twin Peaks (which I was a big fan of – all it needed was a dancing dwarf and I’d be sorted). 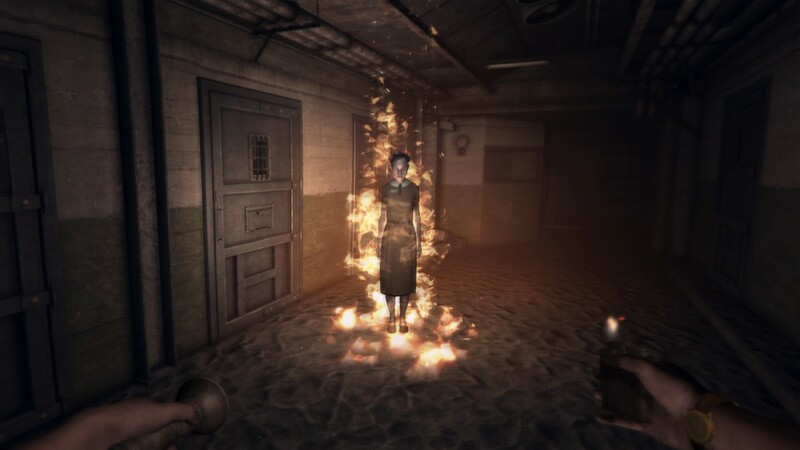 The environments are well designed and keep up with the horror tone of the game; you’ll find bodies under white sheets, scratch marks on walls and doors, clocks with the hands going berserk and every so often you often you may see a ghostly figure only for it to disappear in thin air. The environments also manage to look attractive – they aren’t the most amazing graphics you’ll find on PC but they certainly do the job of keeping the eerie atmosphere alive. You’ll spend most of the game simply trying to progress through the environments and find your way through the labyrinth like levels. The game does offer you moments where you may have to find something such as a VHS tape or chess pieces, but they are never too difficult to find. You’ll find different pills in the game that you’re meant to use, but I found the feature slightly broken; when my screen would start to get disorientating and change colour I would take the pills but more often that not nothing would happen. I collected a few different items too but I never full understood what any of them did – I think Rubycone could have introduced the items and how they work a bit more efficiently. Hektor introduces enemies in the second chapter of the game. The first type of enemy isn’t much of a threat and doesn’t actually harm you; it simply induces the disorientating effects onto you and then seems to disengrate into the air. This is the standard enemy of the game that you’ll find most often – it’s not really frightening but it does its job of keeping you on your toes. The second type of enemy you face is a lot more intimidating – a humanoid type figure with a hole for a face and blades coming out of it’s back. This creature will hunt you down and it is relentless – it actually got to a point where I stopped trying to outrun it because it never seemed to stop the chase. It’s a shame, because other games like Outlast or Alien Isolation atleast gave you a fighting chance to escape from your pursuers. Oddly though sometimes it was a blessing – I found that dying and re-spawning would actually help progress through the game, normally spawning you closer to your objective than you may have been. The sound of the game is well used, the developers actually getting the Slovak Radio Symphony Orchestra to perform the music in the game. It’s very effective, with ominous drum rolls building up the suspense throughout gameplay and harsher, grimmer tunes whilst being pursued. 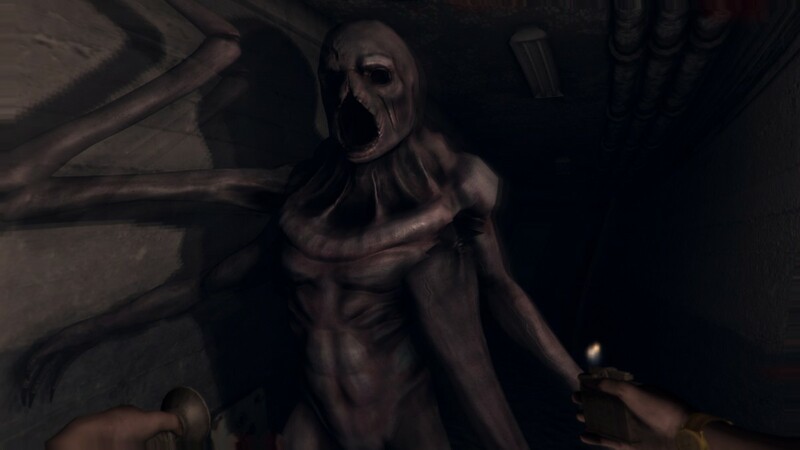 Sound is also well integrated, little cries being heard in the distance along with the groans of monsters – Rubycone have managed to get the sound perfect to create the creepy ambience for the game; a necessity for a horror game. I find it necessary to mention how the game’s horror aspects worked. The jump scares in the game were effective – it caught me off guard a few times – but the overall feel wasn’t too frightening. I was never worried about what was going to come after me, especially after I’d accepted there was no escaping the pursuing enemy. The horror undertones are there – they just don’t make you that frightened. It’s a shame but it doesn’t take away from the enjoyment of the game. I enjoyed my time with Hektor. The story is lacking and some gameplay elements could have been better integrated/explained – a bit more polish with enemy encounters wouldn’t have gone amiss either, just to bump up the suspense a little. Things like the ‘jigsaw system’ and the great music and sound effects make up for the game’s downsides though. You won’t find yourself getting frightened throughout the 3 to 4 hour story but the game does manage to keep you interested and you won’t feel bored. It’s not the best horror exploration game out there, but with it’s unique approach to the genre Hektor certainly is worth checking out. PreviousReady for more Wang? Shadow Warrior 2 is coming!